1. Preheat oven to 425°F. Mix together olive oil, honey, sriracha, soy sauce, sugar, pepper and salt; toss with Brussels sprouts until well coated. 2. Spread on parchment paper–lined baking sheet. 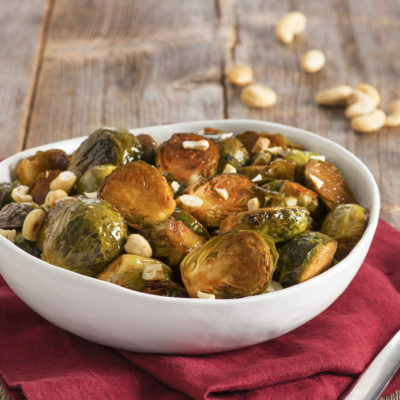 Bake for 20 to 25 minutes or until Brussels sprouts are roasted and caramelized. 3. Sprinkle with cashews before serving. For a milder flavor, replace sriracha with an equal amount of red wine vinegar.